First, a concert. 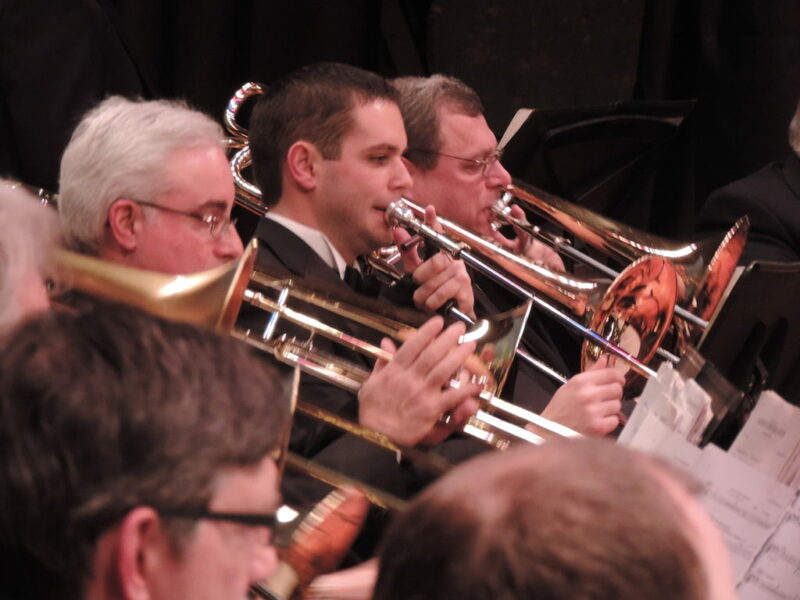 If you are a fan of large bands and wind instruments, head to Westfield, New Jersey on April 24 for the Westfield Community Concert Band’s Spring Performance. Among the numerous selections performed under the baton of Dr. Thomas Connors, will be a piece commissioned by the BBC entitled Crown Imperial. Buffs of British royalty would be interested to know that this orchestration was initially composed by William Walton for the coronation of Edward VIII in 1937. When that ceremony was canceled (because of Edward’s abdication due to his scandalous proposal to marry American divorcee Wallis Simpson, then in the throes of her second divorce), the piece was then used at the coronation of George VI. It was re-vitalized once again for the coronation of Queen Elizabeth in 1953, and again not too long ago, at the wedding of Prince William and Kate Middleton in 2011. Five other pieces will be performed by the Westfield Community Concert Band, including An Irish Rhapsody, featuring six familiar Irish folk tunes and Maurice Ravel’s Pavane. St. Helen’s Church, 1600 Rahway Avenue, Westfield. Admission is free. Some fun Shakespearian going’s on to mark the 400th anniversary of the Bard’s death will take place right in the middle of midtown Manhattan on April 22. On Friday, April 22, one day before his birthday (and widely believed to be his death day), The Drilling Company will present “Deaths of Shakespeare” from 6:30 to 8:30 PM in Bryant Park. Drilling Company members will perform great death scenes from Shakespeare’s works and lead the audience in a mock jazz funeral for Will. Plays excerpted will include “Hamlet,” “Othello,” “Macbeth,” “Julius Caesar,” “Romeo and Juliet,” “Cymbeline” and “Richard III.” A jazz procession, led by the Jambalaya Brass Band, begins at 6:30 PM near the fountain terrace. 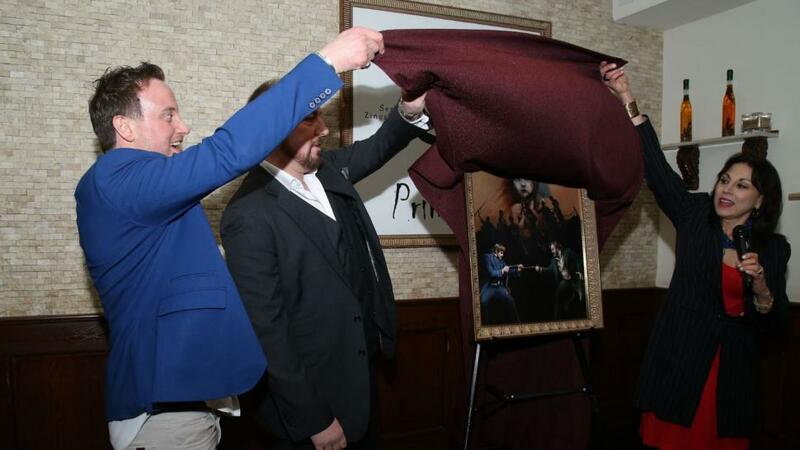 Finally, another wonderful original portrait by artist Dan May has joined the prestigious “Broadway Wall of Fame” at Tony’s di Napoli Restaurant on West 43rd Street in Manhattan. 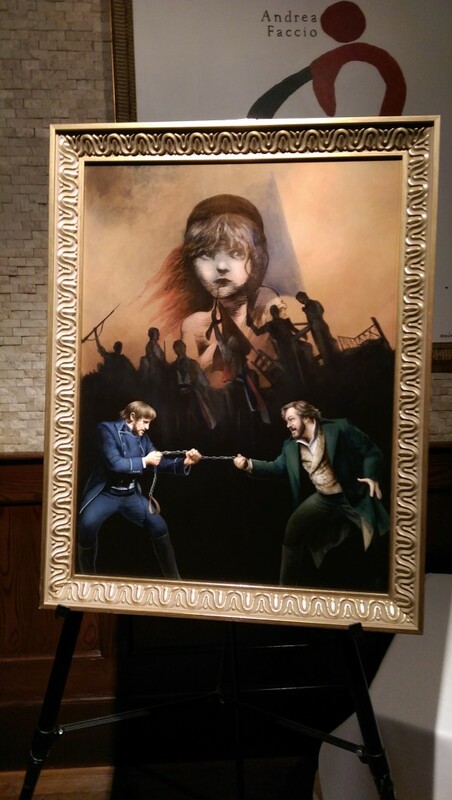 honored the company with a portrait featuring current stars John Owen-Jones as John Valjean and Hayden Tee as Javert, along with a lively party celebrating the entire cast. Check out other portraits on the Broadway Wall of Fame at Tony’s.